Our goal at Lang’s Kitchen & Bath is to enhance the quality of our customers’ lives by delivering exceptional kitchen and bath design concepts, product selections crafted by the industry’s finest manufacturers and artisans, and top-quality installation services. To ensure our customers experience a smooth kitchen or bathroom renovation, we follow a 12-step process that guides the designers, contractors, and other key team members in completing the remodel in a timely manner. Designing your new kitchen or master bath isn’t just about choosing color palettes, cabinetry or appliances; rather, it starts with careful planning – crafting a functional layout, sorting through electric and plumbing configurations, sourcing the right materials at the right cost, and much more. Your team of kitchen and bath designers must have the experience to advise and guide you through these crucial decisions and to give you a well-crafted kitchen or bathroom design that achieves your vision for your home living space. Your chosen designer should have experience with a variety of styles – contemporary, modern, traditional, French Country, coastal, and more. The Lang’s Kitchen & Bath design team also offers a custom computerized drawing during your design consultation, so you can see how the space looks before you commit to a specific design or certain products. A kitchen or bathroom remodel is an investment in your home. Not only will it provide you enjoyment in the short term, but when the time comes to sell your property an updated kitchen design, complete with a coffee bar or a master bathroom design with a large shower and rainfall showerhead might just be the luxury that captures the buyer! To allow our customers to select the products and amenities that works best for them (and their budget! ), Lang’s offers a “good, better, best” tiered pricing system with three pricing options. Customers also have the opportunity to see their design options via computerized drawings, so they are able to see how the space will look before making any decisions. The design process and pricing options mean the customer gets what they require for their design, and there are no big surprises along the way. Lang’s understands the importance of budgeting in a renovation and guarantees to be within 8% of the pricing analysis you select! An experienced, full-service kitchen and bath design firm will not only provide you a complete design for your space as well as product selection advice, they will also have the project management and installation experts ready to bring your remodeling project to completion. The Lang’s team can handle all the ins and outs of your project from design to installation and everything in between. All jobs are coordinated by our design and project management team, who assist with planning, budgeting, paperwork, and scheduling. Once construction begins, the lead carpenter is on site every day to manage day-to-day activities, handle any issues, and communicate updates to the project management team. Additionally, Lang’s Kitchen & Bath prepares and submits any engineering plans and permits required by the township. The project management team then coordinates all required inspections and carefully incorporates them into our day-by-day project schedule in order to continue working seamlessly throughout the course of the project. A robust kitchen and bath design process is a cornerstone of an effective home remodeling project. 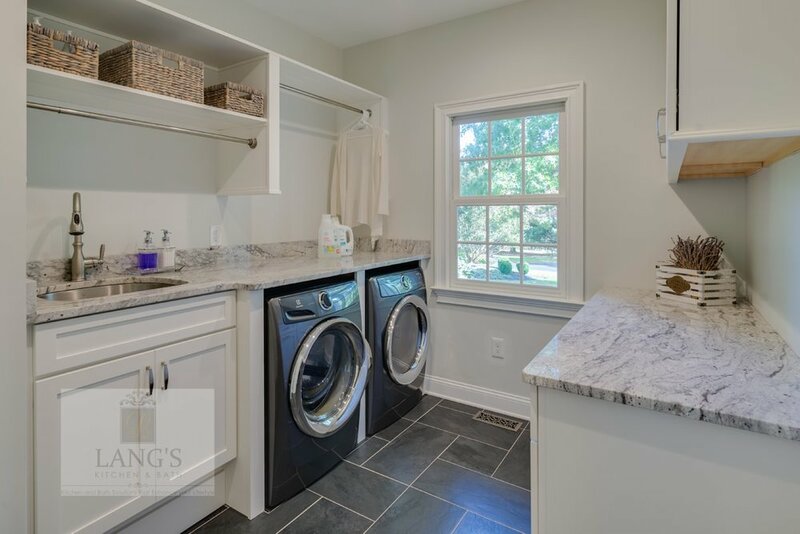 With more than 30 years in the kitchen and bath remodeling industry and a proven design process to guide us, Lang’s is the perfect partner for your next renovation project. For inspiration visit our kitchen design or bathroom remodeling gallery or stop by our Newtown showroom! If you’re ready to start the renovation process, call us at 215-968-5300.